Although she received a degree in Biology in 2006, Maitee quickly realized the fulfillment she could find in helping clients get the benefits they deserve. 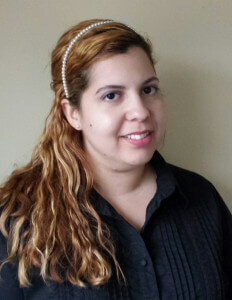 Maitee’s seven years of paralegal experience have left her knowledgeable and committed to the needs of her clients. Her strong critical thinking skills coupled with her passion for helping others make her a pleasure to work with for our Workers’ Compensation, Personal Injury and Municipal Court clients. When Maitee is not hard at work for her clients, she is an avid reader and enjoys capturing moments through photography and spending time with her family.